The trouble is: there are some problems where it’s not easy to capture packets, and that’s when you don’t know the correct capture location (usually meaning “there’s too many possible locations”) or the exact time for the packets with the symptoms to be recorded – or both. In some situations the question arises how much a frame was delayed by a device it has to pass through, e.g. 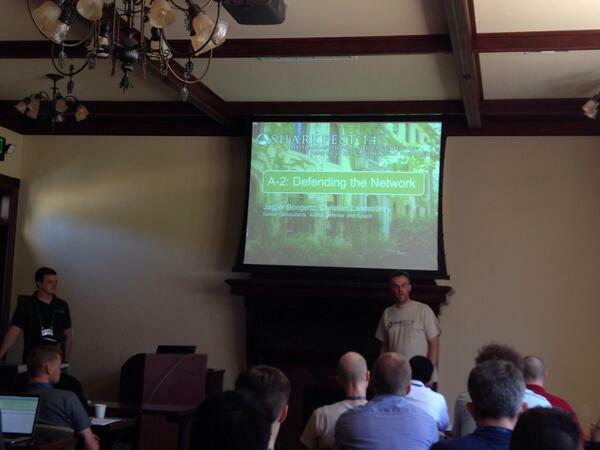 firewalls, loadbalancers and sometimes even routers and switches. Usually, novice network analysts think that for that you need to synchronize the clocks of the capture PCs down to microseconds or even better, but that is not necessary for this kind of reading. 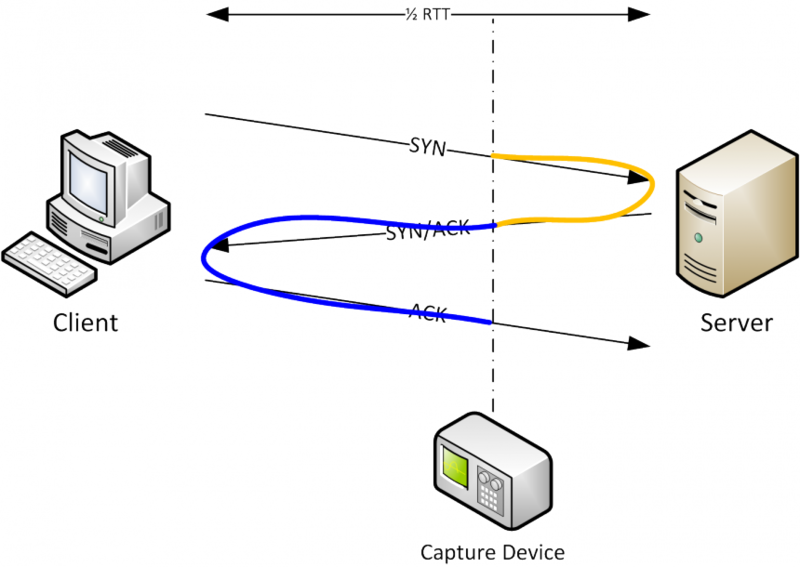 It is possible to capture the packets with completely different time settings on the capture PC left and right of the device you need to determine the delay for. Mike, an old buddy of mine is one of the best database application development consultants I have ever met. We worked together for the same company for a couple of years before I got into network analysis and he started his own company. A couple of months ago I found out that there was going to be a conference in my home town where Mike was on the organization team. After a friendly banter on Twitter about him having to come to my city (Düsseldorf; which guys from Cologne like Mike don’t like ;-)) he told me that I should turn in a proposal for a talk. I said I could do that, but not on any database development topic – but maybe a generic network application performance talk might be interesting for those guys attending. So I did, and it got refused, despite Mike advocating for me. Darn. Well, it’s a nice topic for a blog post nonetheless. So here we go. Starting with Wireshark 1.8, the old PCAP format was replaced by PCAPng as the new default file format for packet captures. I have to admit that I may be one of the people to blame for this – at the end of Sharkfest 2011 we had a panel discussion with Gerald and some other guys when the topic of PCAPng support came up. I was sitting in the back in Landis TCP Reassembly talk at Sharkfest 2014 (working on my slides for my next talk) when at the end one of the attendees approached me and asked me to explain determining TCP initial RTT to him again. I asked him for a piece of paper and a pen, and coached him through the process. This is what I did.